This past week’s Beyond meet fell on the first day of spring, and we were able to enjoy the light and (relative) warmth that came with it. It’s finally starting to look like summer is coming! That being, said there are still lots of winter vehicles roaming the streets because as Mother Nature proved the very next day, snow is never far away. 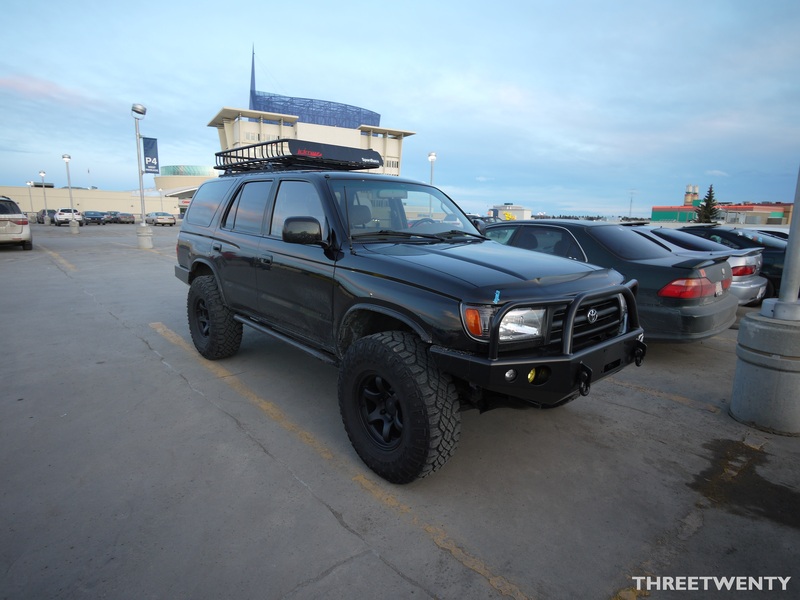 Jackie has one-upped our winter cars with this 4-Runner. This is what you want for Calgary. 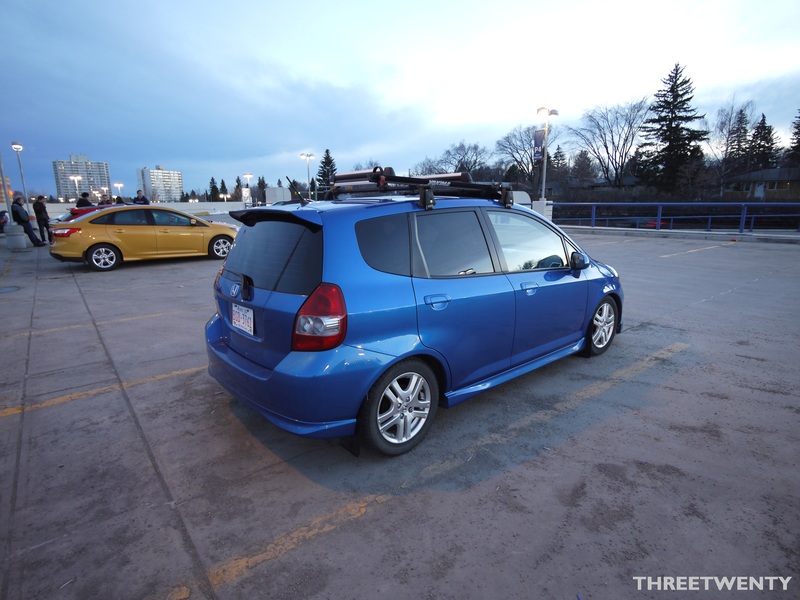 UCCC member Taylor brought his WRX wagon on its newly-powdercoated wheels. Last week it was on Civic Si wheels, and this time Kanji’s Integra was on some from an S2000. Speaking of S2000s, Aldo couldn’t wait for summer and showed us his new project. The white Volks look great. Guy’s Fit was back, looking clean as always. 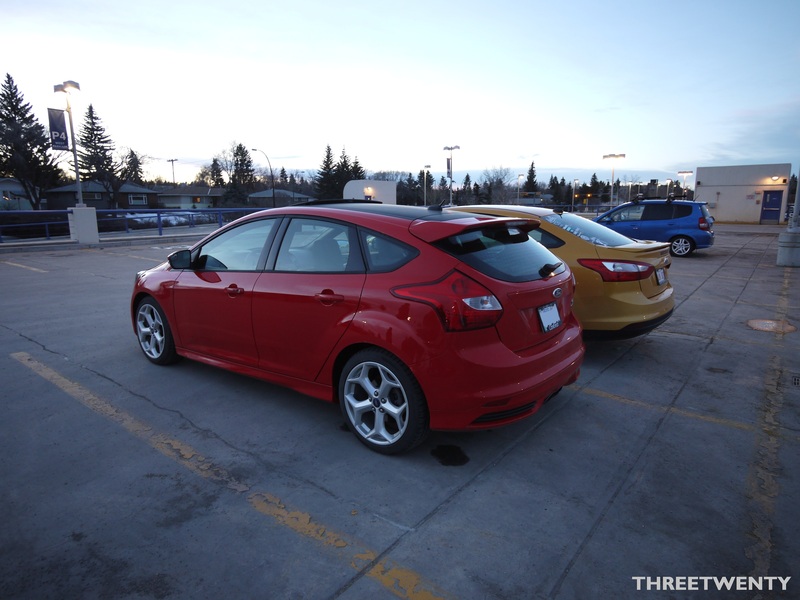 You didn’t think I wouldn’t include a picture of the ST, now did you? Note the newly-wrapped roof. As a final picture, this was the surprise of the night for me. 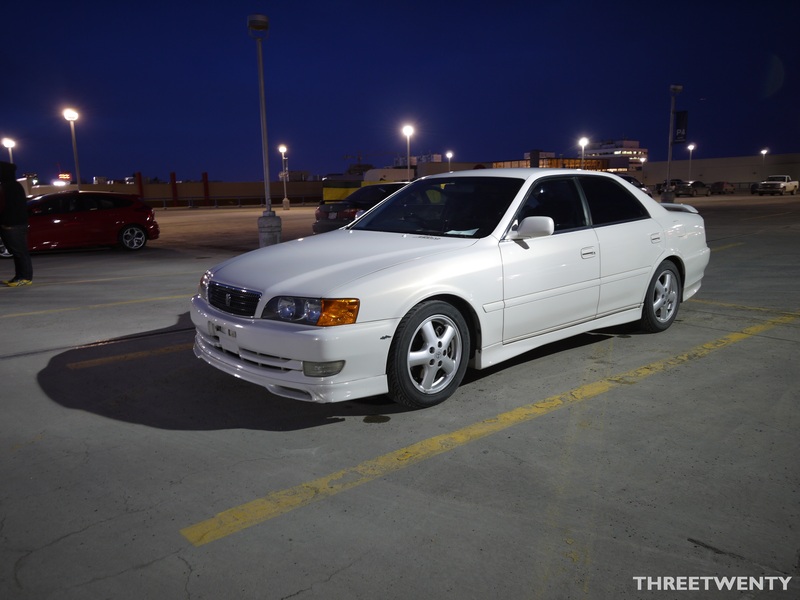 A Toyota Chaser! This was the first time I had seen one in person. Nice!